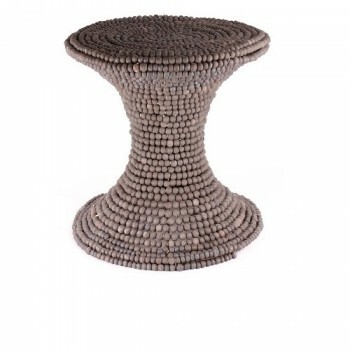 A beautiful and versatile handmade clay beaded stool. Over 1000 hand-rolled mud beads wired to a metal fram skeleton. Available in ivory and charcoal colours.